Feeling twice as good now. 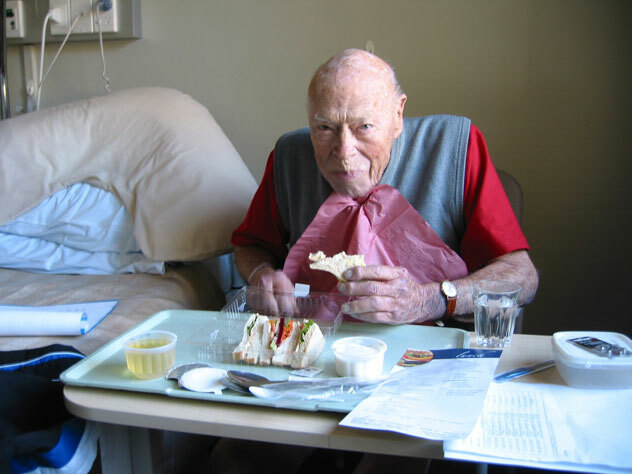 This hospital food is so good (especially the soup and the ice-cream - even when it is Low Fat) that I'll have to remember to get a few more hips replaced. 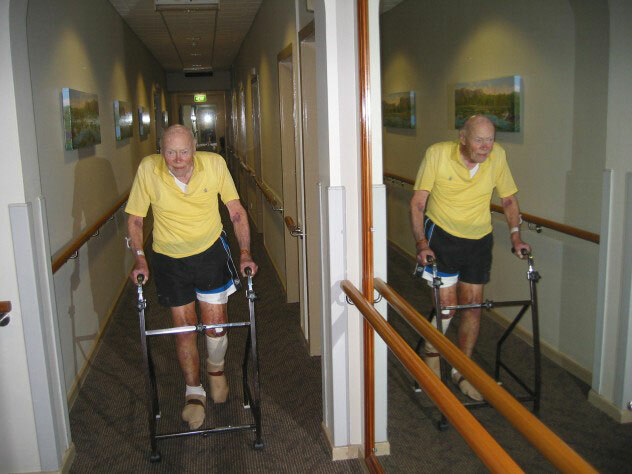 A significant operation at age 93 has to have some side effects. I'm considering sending my blister to Guinness World Records. 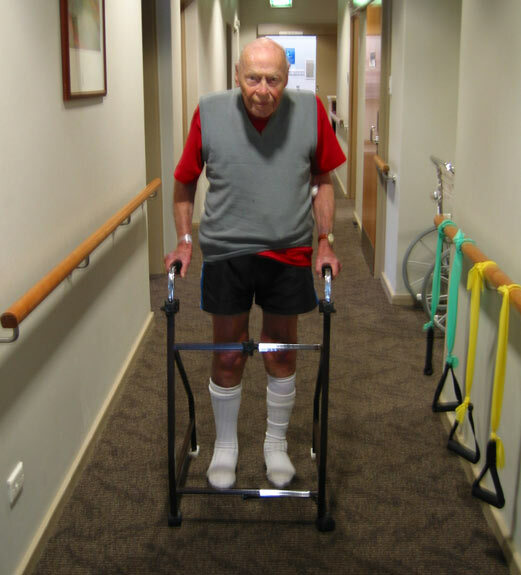 Some patients use a walker. Some use crutches. I use a rainbow. 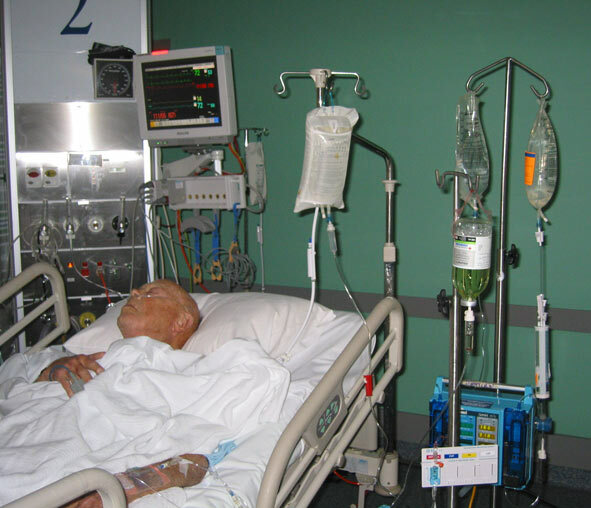 Bottles and tubes stand guard over Alan during a 30-hour recovery in intensive care at Crows Nest's Mater Hospital. 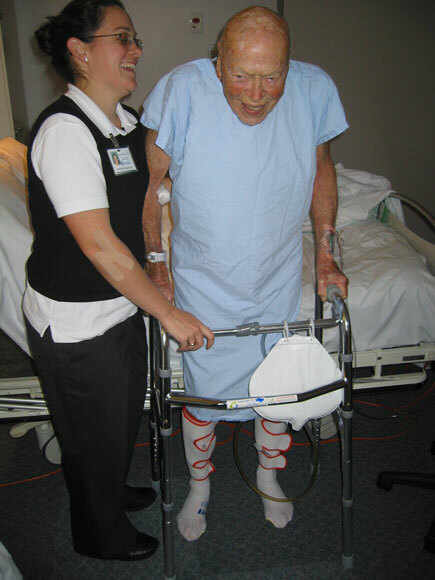 One of the delightful physiotherapists at Crows Nest's Mater Hospital assists Alan with his first post-operation step.